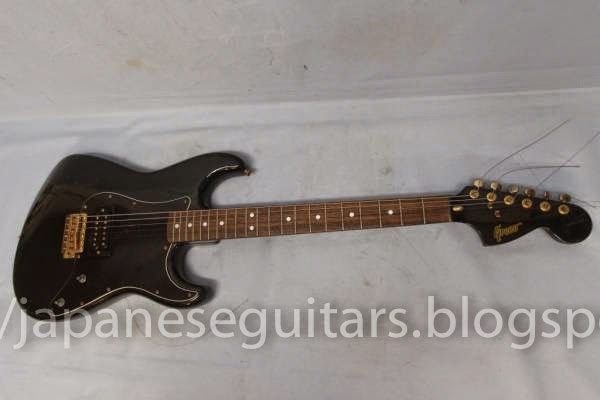 I saw this lost dog Greco on Yahoo Japan and was able to get it for a decent price all things considered (missing volume knobs and a bone-dry fretboard are not great sales points!). 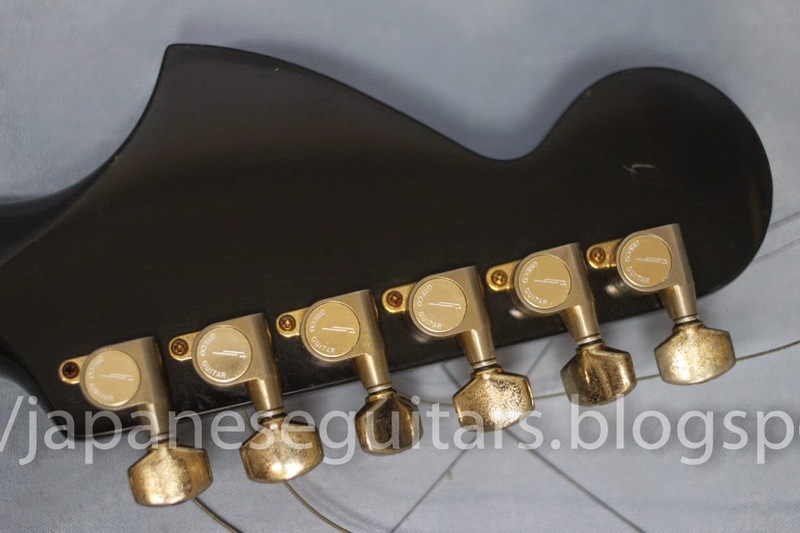 It is based on 70's model SE-700 Super Real strat model that was in the catalogs in 1980-1981 but there was never (99% sure) any production 70's model with gold parts so it really does look like a one-off non-production late Greco. 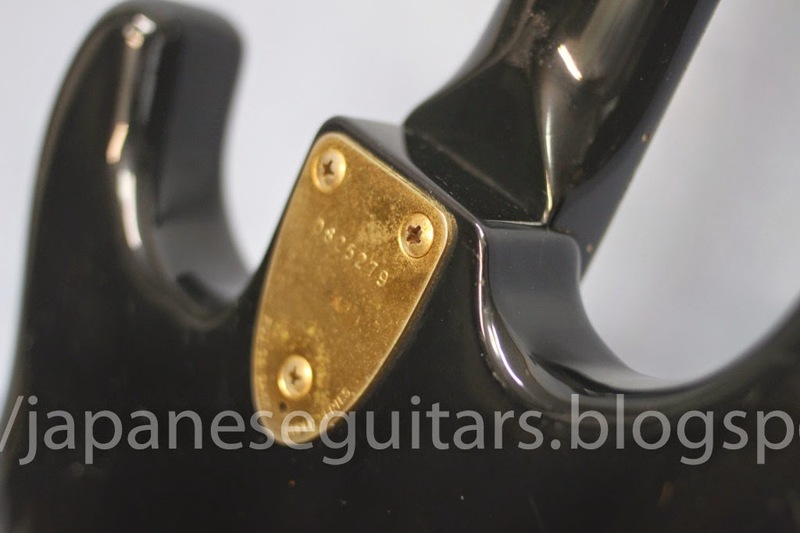 Interestingly, the neck plate has D825279 which means it was completed in April 1982 and by that date is likely to be among the last bunch of Greco strats made. 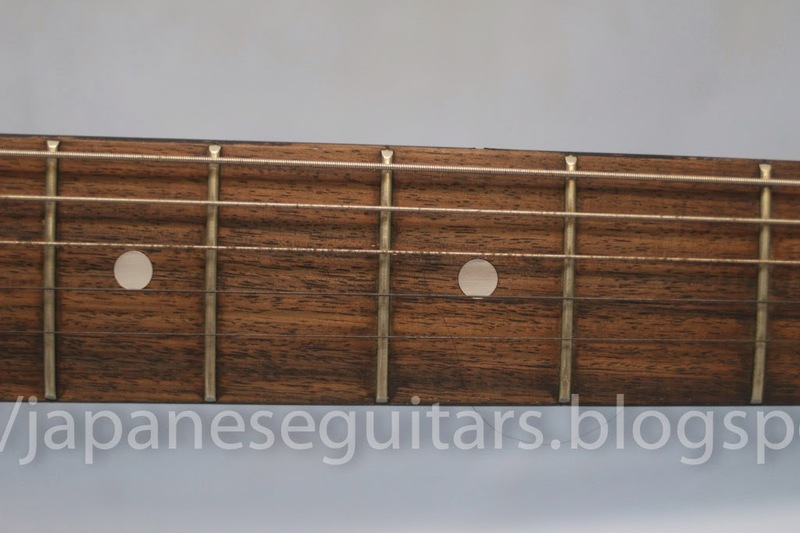 Fender Japan was established in March 1982 and Fujigen started making Fender Japan guitars shortly thereafter. 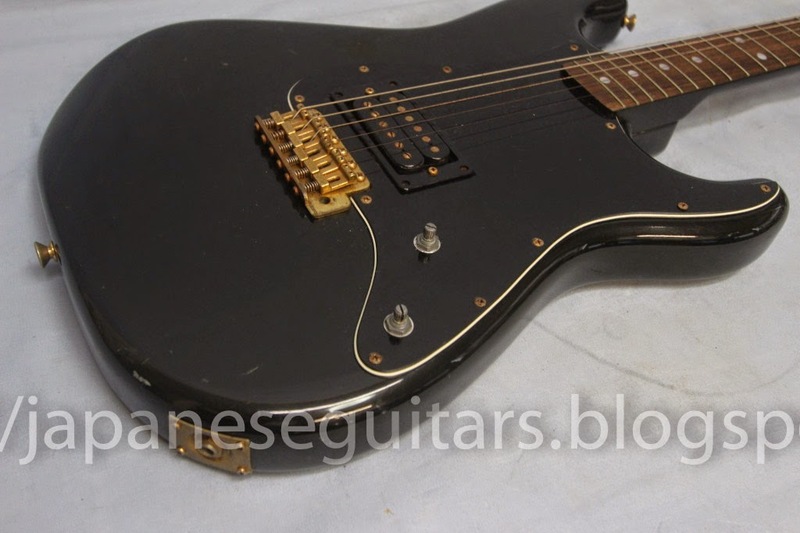 Kanda Shokai owns the Greco brand and when it became a co-owner of Fender Japan guitar along with Yamano Gakki production of the Greco Fender copies ended. The pickup could be one of many different models from Fujigen at the time. I am hoping it is routed to allow a second humbucker or a traditional 3-single coil configuration. I should see this here after a few weeks and then see how well it cleans up. It should be a fun guitar to play and mod.